Flea and tick season is almost upon us, and experts are warning that Lyme disease will be especially rampant in 2017. You have many options in the fight against fleas and ticks, and the Seresto Flea and Tick Collar will be reviewed here. The Bayer Seresto Flea and Tick collar is an adjustable rubber collar that provides 8 months of continuous protection against fleas and ticks for your dog. This patented technology ensures slow release of pesticide to your dog’s skin. Unlike other flea and tick collars, this product is odorless and non-greasy. It also has a safety mechanism that will cause the collar to break should the flea collar become stuck, thus trapping your dog. 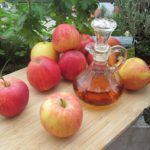 There are many advantages to this product. 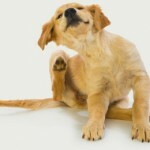 Some owners find that their dogs are sensitive to topical flea and tick treatments, resulting in discomfort or a rash. The Seresto collar is milder than these topical treatments, and can be tolerated by most dogs. Additionally, you do not have to time baths around use of the collar, since you simply can remove the collar during bath time. Dog owners have also reported adverse reactions to oral flea and tick medications. One of the biggest advantages of a flea and tick collar is that – should your dog experience an unlikely reaction to this product – you can simply remove the collar. In the case of oral pills or topical treatments you must seek veterinary care if your dog has a bad reaction. This collar can also be used on dogs as young as 7 weeks of age. There are few limitations to the Seresto Flea and Tick Collar. While the collar is water resistant, Seresto recommends that the collar be replaced every 5 months for dogs that frequently swim. Additionally, the package insert suggests that dogs wearing the Seresto collar should not sleep in bed with children, in order to avoid their exposure to the pesticide. The Seresto Flea and Tick collar is most beneficial for dog owners whose pets do not tolerate topical gels or oral flea and tick products. 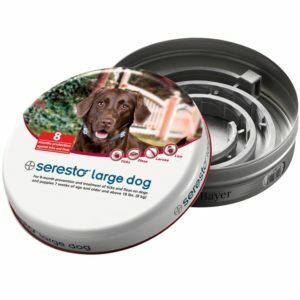 Personally, I use the Seresto Flea and Tick Collar on my 30 lb beagle mix who always suffered from discomfort after her monthly topical application. She has had no issues with the Seresto collar, and we have been using this product for approximately 3 years. 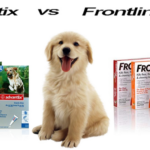 Similar products include the ProGUARD Plus II flea collar, the Arava Flea and Tick Control Collar, and the HARTZ UltraGuard Collar for dogs. However, it should be noted that the Seresto Flea and Tick Collar is the number 1 best seller on Amazon, and has almost 5,000 five-star reviews. 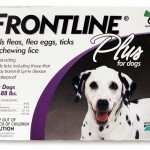 Many reviewers note they have not experienced fleas or ticks since using the collar. Indeed, we have not found a flea or tick on our dog since she began using the Seresto Flea and Tick Collar, but did have issues with both insects while using topical gels. Ultimately, the Seresto Flea and Tick Collar is perfect for any pet owner who is looking for an alternative to oral or topical flea and tick treatments.